Ideal for post injury / surgery controlled range of motion therapy. 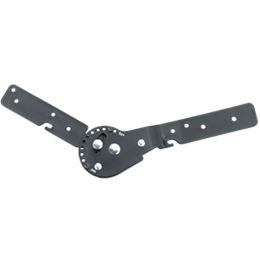 The ROM hinges allow for control of elbow flexion or extension in 15° increments. Orthotic controlled elbow range of motion rehabilitation therapy of the elbow for the treatment of joint stiffness or non-fixed adaptive tissue shortening contractures of the elbow joint. The orthosis ROM hinge can be set in 15° steps to control both flexion and extension motion in the brace. Ideal for providing protected ROM exercise in the brace post surgically or to limit motion to prevent further injury of the joint during post injury / surgery rehabilitation. 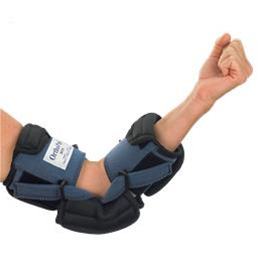 The OrthoPro™ ROM Elbow can also be used at a static setting to protect and support the joint or to provide progressive extension orthotic therapy. Small OP 500-0 8" - 10" 7" - 9"
Medium OP 500-1 10" - 12" 9" - 11"
Large OP 500-2 12" - 14" 11" - 13"
Xlarge	OP 500-3 14" - 17" 13" - 15"